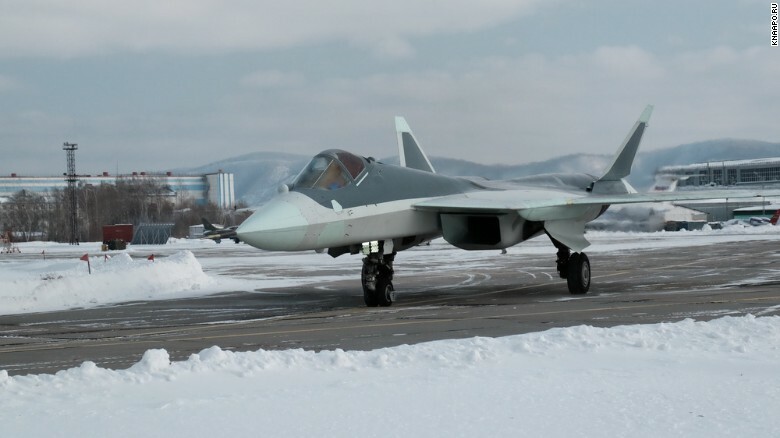 New photos of Russia’s newest stealth fighter jet were posted on the manufacturer’s website. Most of the photos show the twin-engine Sukhoi T-50 jet operating from runways on a snow-covered airfield, although a location was not given in a report on RT.com, which surfaced the pictures on Sunday. Russia media has claimed that the T-50 has superior maneuverability compared to the F-35 and it travels at a 30% higher speed with a range over 2,000 miles farther.